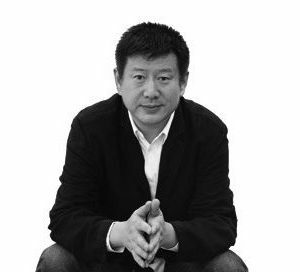 Zhou Chunya was born in 1955 in Chongqing. 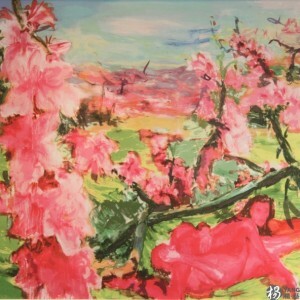 Trained as a propaganda poster painter in the early 1970s during the Cultural Revolution. 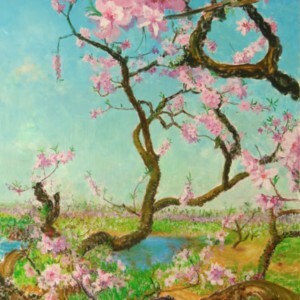 Zhou graduated the Sichuan Academy of Fine Arts in 1982 and completed his master’s program at the University of Kassel in Germany. 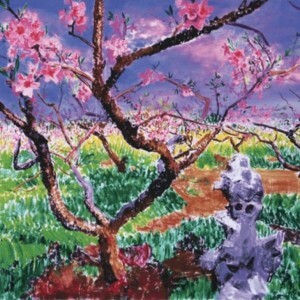 The artist is best known for his colorful “Green Dog” series of paintings. 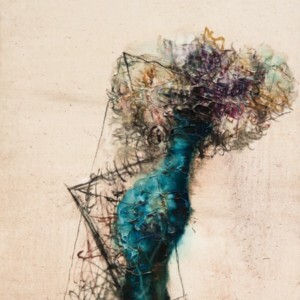 However, his repertoire also includes colorful expressionistic series of figures, landscapes, and flowers. The artist has had numerous shows around the world and was also awarded Martell’s 2010 Artist of the Year. In the 1990s, artist Zhou Chunya began work on the Green Dog series, depicting his beloved German Shepherd, Hei Gen (“Black root”). Of all the iconic subjects popularized by contemporary Chinese art, none is more unexpected than Zhou Chunya’s green dog. 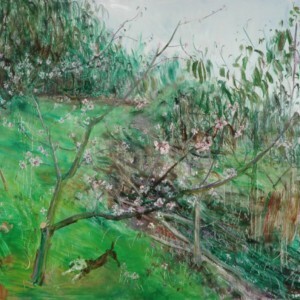 Zhou describes the green dog as a sort of symbolic self- portrait. Concerned less about subject and more about direct expression of emotion, using vivid colors, high contrast and a loose, expressionistic painting style, the artist gives his subject anthropomorphic qualities. 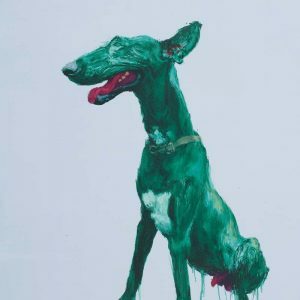 Each Green Dog painting is very personal and individual; the artist hopes to transcend existing knowledge of his work to let his dogs speak for themselves. 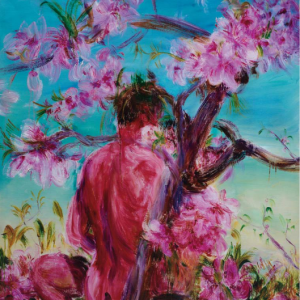 Zhou Chunya has become the youngest artist to ever top the Hurun Art List this year (2013), which ranks the top 100 Chinese artists by their sales revenues at public auction over the past year. One of his Green Dog sold work was valued at US$75 million.